The chairman, Stephan van der Merwe, reported that in the first 12-month period 62 members had joined the MTA and now that they were into the second year they planned to increase membership even further. In the meantime, the MTA through the generosity of its members had built up a healthy fund which was essential for the protection of the trout value chain. 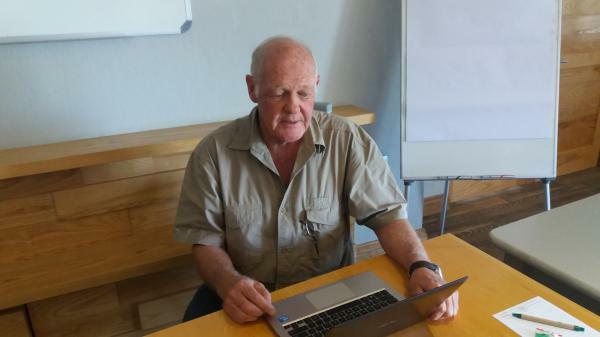 Much of the AGM was taken up with the discussions which followed Gerrie van der Merwe’s report on the progress with the mapping of the trout zones and the relevant regulations and the draft Aquaculture Development Bill. Regarding the former a meeting had been arranged between the TSA/FOSAF team and the authorities on 17/01/2017. It was hoped that very real progress would be made at this Pretoria meeting but later the TSA/FOSAF team advised that they would not attend. This was because once again the TSA/FOSAF team had not been supplied the information to which they were entitled so that consultation could take place with their stakeholders. Moreover, there appeared to be substantial differences between what had been agreed upon during the extensive mapping process in 2016 and the maps the authorities had supplied for the meeting. The draft Aquaculture Development Bill also presents a major challenge to not only farming with trout but the whole aquaculture industry. In its present form, it will certainly be a massive barrier to any emerging farmer wishing to enter the market and it will probably inhibit further growth in the trout production in the RSA. This is the reason why much of the production is relocating to Lesotho. A significant problem is that although it has been agreed that aquaculture is now the responsibility of the Department of Agriculture & Forestry the Department of Environmental Affairs appears to still be trying to control every facet of trout production. The committee for the next 12-month period comprises Stephan van der Merwe (chairman), Peter Arderne (secretary), Paul van Vuuren (treasurer) and Gerrie van der Merwe, Dean Hunter, Steve Vincent, Justin Bowers and Roy Charsley as ordinary members. Anyone wishing to join the MTA should contact the secretary at mwardern@mweb.co.za. Gerrie van der Merwe of Trout SA presenting his report.